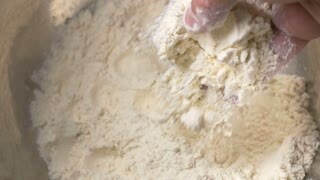 Adding flour, baking powder, sugar and butter to cake mix in this archival cooking show from 1945. 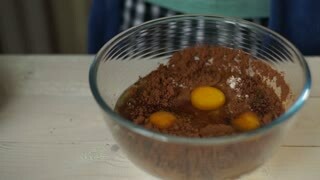 Whisking egg yolks and sugar in a bowl. 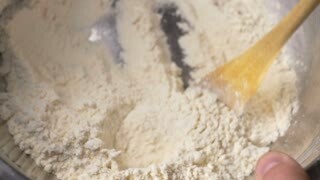 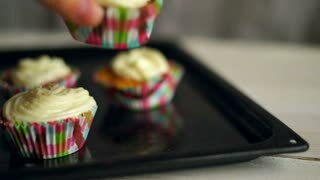 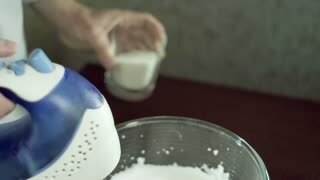 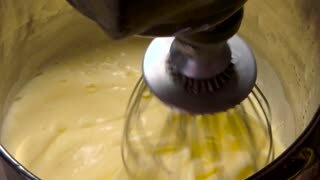 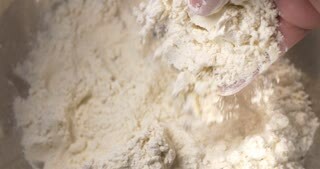 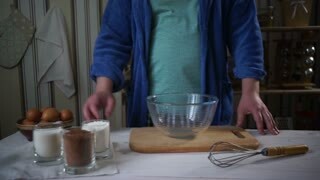 Slow motion mixing eggs, flour and sugar with electric mixer. 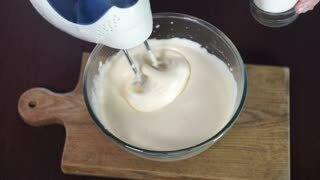 Preparing dough for baking cake.